On Saturday, July 9th, I had the chance to get out of the house for a few hours and go on a decent four mile hike around a local lake called Griffy and was able to get some decent pictures and cook a small meal while out on the trail. With me, I took my basic ten piece kit and a few other things. I brought a bag of rice with some Cajun spices added to it for flavor. For basic defense, I just brought my Cold Steel Kukri Magnum and my always trusty Condor Bushcraft Basic 4" knife. This is a very mild trail so I wasn't worried at all. Not counting the various insects and birds, it was a quiet walk. I did pass a few people along the way, but due to the high heat (it was about 90 degrees) it was somewhat quiet. 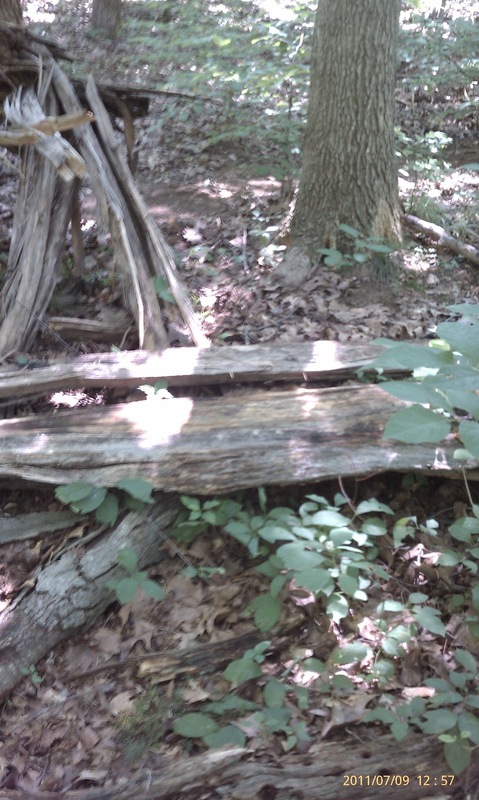 When I got to the mid-point of the trail, I found a clearing that used to be for either horses or cattle. There was some old barbwire fence pieces laying on the ground, but nothing in the overgrown field. I assume it is no long used by the property owner and may even belong to the state now. 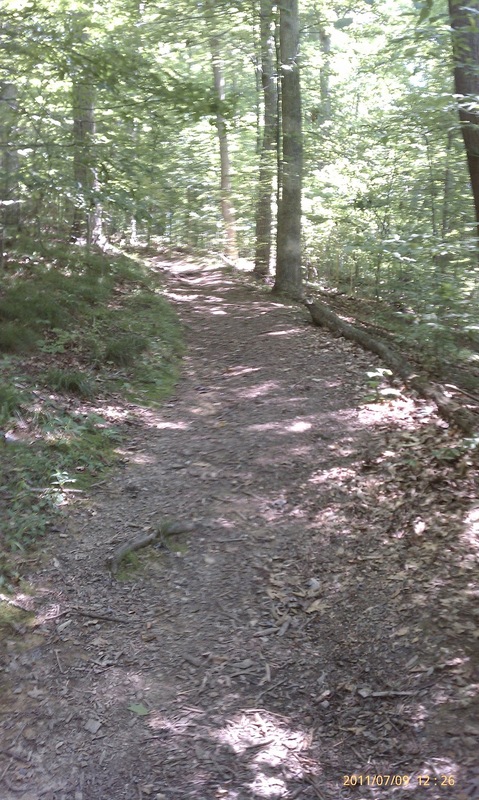 I cut off the trail to the left and went a few hundred feet into the woods. 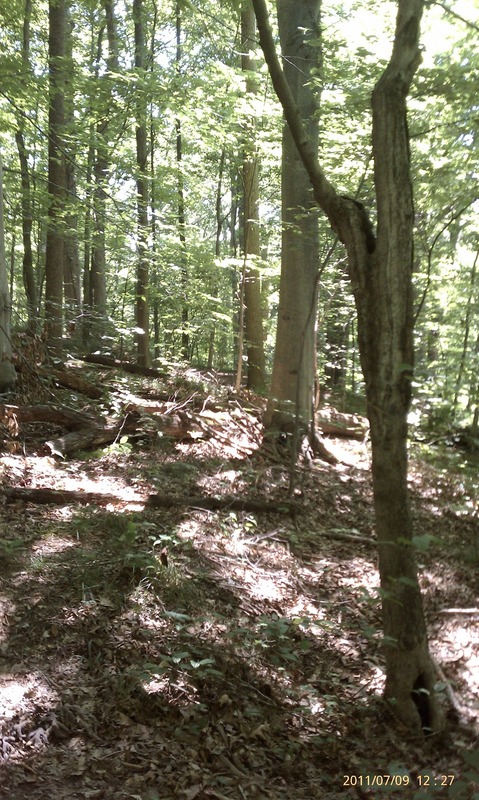 I could tell that nobody had been out there for a while due to the overgrowth and the lack of disturbance of the area. A short ways in, I found a nice spot where I could drop my small pack and satchel for a break and get lunch going. We have had a lot of big storms over the last three months and the pot I found had a few large fallen trees that had been split open by nature. This made for a little table and a nice area to set up a little temporary camp. For cooking, I bought along my Swiss Volcano Stove and used a few cups of water from the 32ox Nalegene bottle I bought along. I had used the stove one time before in my own yard and it worked just as well this time as it did previously. Thankfully, there was a ton of dried sticks on the ground that made the perfect fuel for this stove. To light it, I used my Survival Metrics Auora firesteel and a few cotton balls. I managed to get the fire going on the first strike ((love this fire steel)) and the stove took off. Here is a few pics from start to the finish of lunch. It was very relaxing and nice to sit back and enjoy nature for a while. 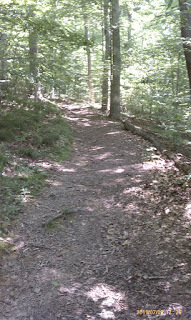 After a good filling of rice, I hiked back to the main trail and started my trek back to my truck. I passed a few people along the way and saw a few more squirrels, but that was about it. It was great to just get out and breath some fresh air and enjoy the afternoon. Here are some more pics of the walk back and at the bottom, I will link to to the entire picture archive. 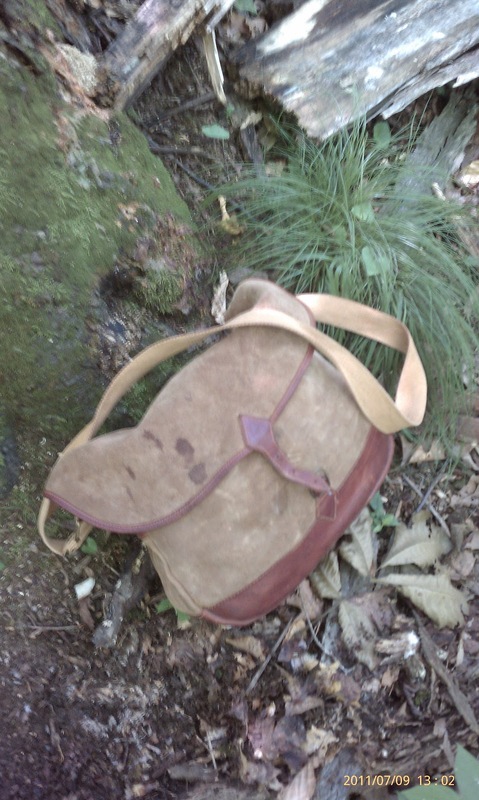 My next post will be about my gear; everything from my EDC pack, to what I bring out to the woods for a multi-day trip. Thanks for reading and subscribe if you like where I'm going with this blog!